t-commerce: 11 Innovations to "Watch"
Home Archives t-commerce: 11 Innovations to "Watch"
If you Google t-commerce (or tcommerce), you’ll get results describing touch commerce (mobile), tablet commerce, Twitter commerce (no kidding), and television commerce. Will the real t-commerce please stand up? I won’t argue that the other T’s aren’t valid. But on this blog, t-commerce denotes television commerce, anything to do with tablets is m-commerce (mobile commerce), and anything social is social commerce (unless it’s Facebook, which has earned it’s F). T-commerce tastes like it sounds. It’s the use of television to facilitate transactions over the Internet. Research by PayPal in late 2011 found 49% of TV subscribers have interest in purchasing goods and services through their television or other “screen” like smartphones and tablets. Purchases or donations relevant to programming being viewed can be made through the TV using the remote control or on tablet/smartphone. Comcast is experimenting with coupons delivered direct-to-PayPal Wallet during television ads. It comes as no surprise that interactive advertising has arrived. The TiVo interactive tag shown during adverts indicates the ability to “buy now” with PayPal. The television program is paused while the user transacts, and picks up where the viewer left off. Available to UK shoppers, Zeebox users can purchase products advertised on TV through their tablet or smartphone. Clicking on the tag takes the user directly to the product page of a trusted Web merchant such as Amazon or Tesco, or to the brand’s Web site for more information. 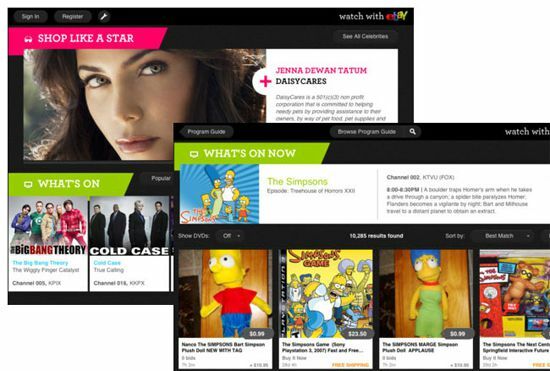 Zeebox knows what people are watching, and serves relevant content and buying options in sync with live TV. A consortium between cable companies working on retrofitting digital cable boxes with software that receive interactive advertisements. Participating channels include Bravo, USA and History. 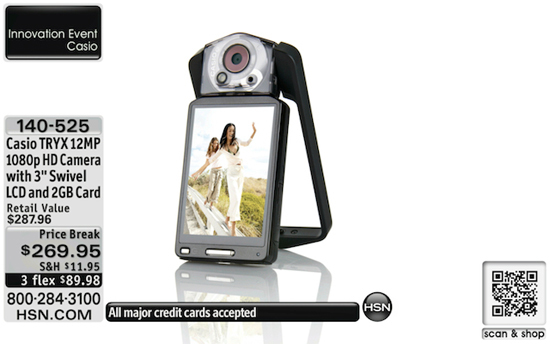 T-commerce is a natural move for the Home Shopping Network. It’s the first retailer to use QR codes on-air. 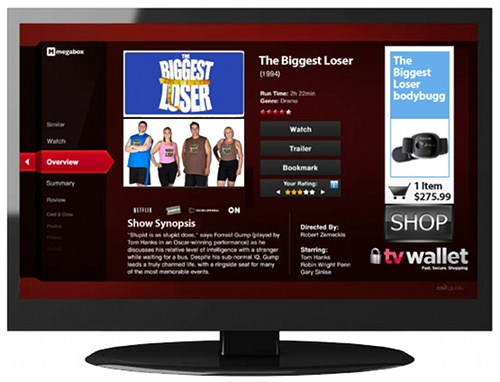 Scan your TV screen and you are directed to a product information page, with access to checkout. 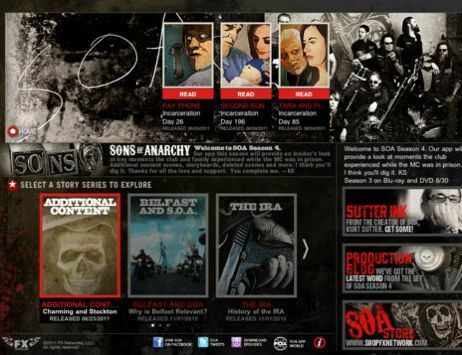 For its Sons of Anarchy series, fans can buy jewelry and clothing worn by cast members, plus other swag, through an iPad app. The app uses QR codes and leverages ACR (automatic content recognition) that syncs with the show’s broadcast to show which products are available for which scene. It also uses BD-Live technology to support t-commerce that syncs with Blu-ray discs. 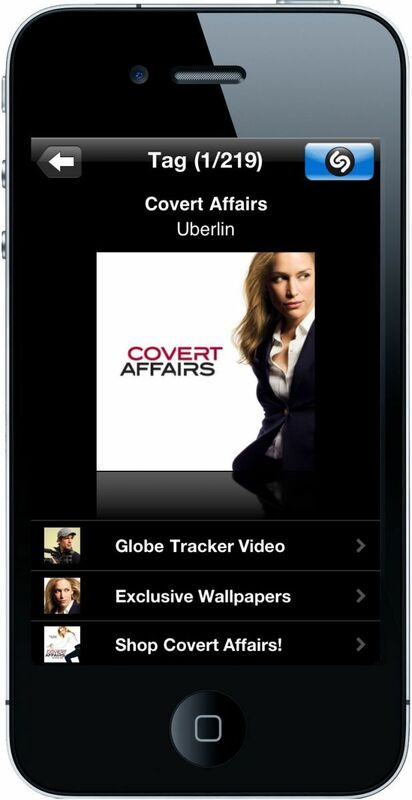 Shazam also uses automatic content recognition to support tagging of video content for the USA Network series Covert Affairs through Apple and Android devices. Tagging not only identifies the show, but supports product purchase through a mobile storefront and a partnered TV Wallet. Viewers are served contextually relevant product offers while watching the show. NBC Universal is reported to be the next network on board. 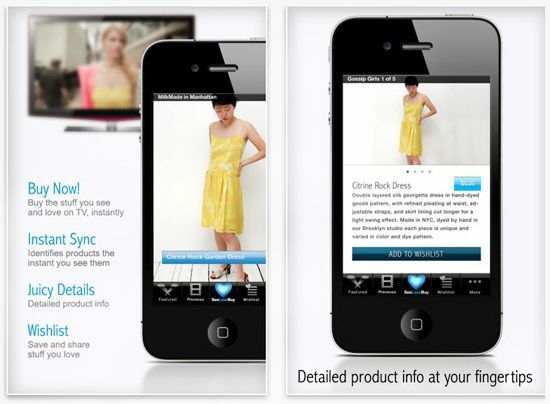 eBay and PayPal’s “Watch with eBay” tab on the eBay iPad app allows shoppers to buy what they see on TV. 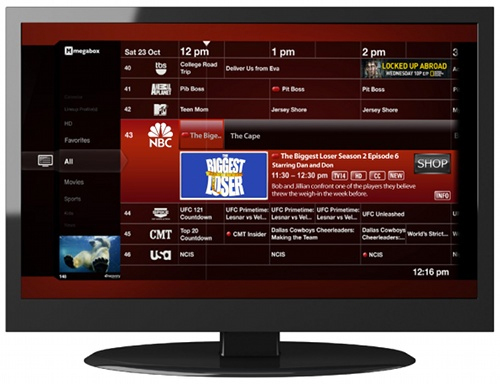 After downloading the app, users select their local cable service and program they are currently watching from a program grid. With co-operation from networks, cable providers, studios and local stations, the app will be able to identify products in each scene. 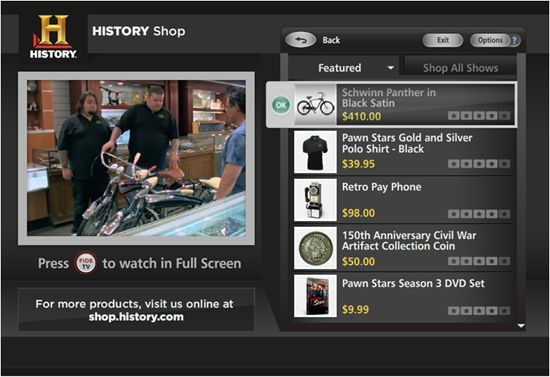 FiOS TV subscribers can order products from the History channel via remote control, such as brands featured in Pawn Stars or DVDs of individual series. Though the t-commerce functionality took 500 days to build, the ability to order through the TV rather than redirected through a separate device (tablet, smartphone or PC) drives higher conversion rates. 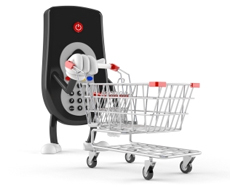 Digital wallets play a key role in t-commerce for telcos like Verizon. Inflated cable bills could drive cancellations of other subscription services, so it’s better to separate it onto a separate bill, whether that’s through PayPal or Google Wallet, or in-house billing solution. Also uses ACR to recognize media and tag products without the use of QR codes, interrupted viewing and redirection. Zazum sees potential applications like game show interactivity, where time-limited coupons could be offered. It has launched an app SeeLoveBuy for Apple devices that automatically detects “cues” in a program and displays information about what’s on the television screen. This isn’t the last we’ll see of t-commerce. As new technologies emerge and more shows adopt in-program shopping capabilities, we can expect even more innovation. Previous articleWill User Control Stop Retargeting Overexposure?